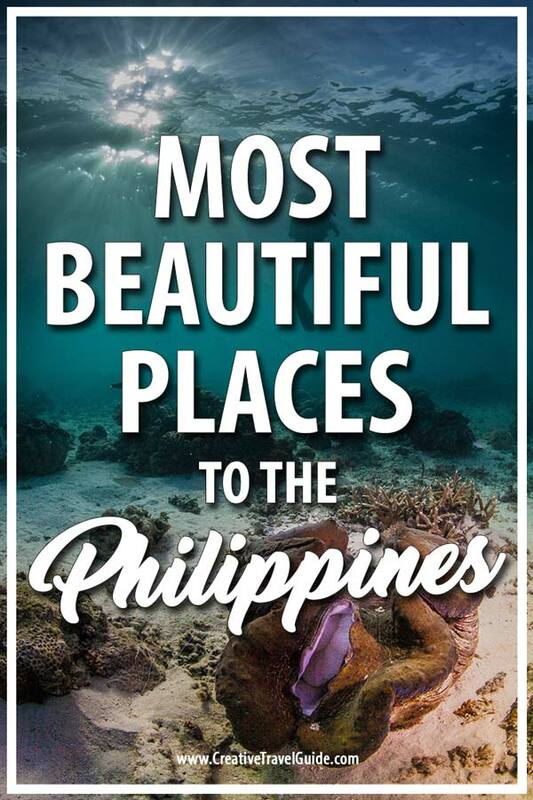 We are so fortunate to have Hannah share the most beautiful places in the Philippines – I can’t wait to check all of these out very soon! Here you are, once again, feeling the travel itch, exploring where you should travel next. You’re thinking of sandy white beaches, pristine, blue sea. But, you’d also like to be near an adventure, you’d like to explore, climb that mountain. You’re probably googling hotels in Canggu or Seminyak, and while Bali is always a great option, providing everything you’ve already imagined… Why not try something new? The Philippines is an amazing country, becoming more and more popular among tourists. It has volcanos, it has waterfalls, caves and white beaches – what more could you ask for? 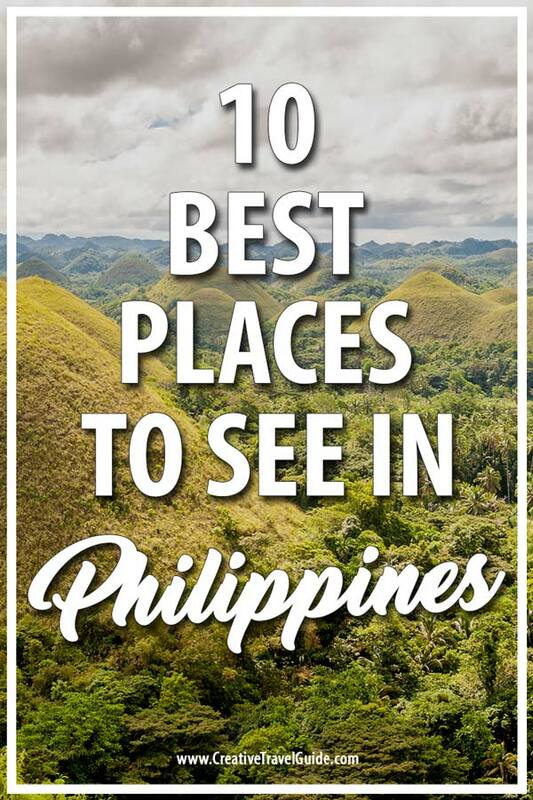 Here are some of the places that are a must-see in the Philippines. Yes, it would be really amazing if these were made out of real chocolate, but that’s not the case. So, why the chocolate part of the name? During the dry season in the Philippines (late November to May), the grass on the hills turns brown, making them look like big, chocolate bonbons spread across Bohol. The best viewing point is from Sagbayan Peak, which offers a 360-degree perspective view of the hills. This is one of the six UNESCO World Heritage Sites in the Philippines and one of the new seven wonders of nature. The river goes deep into the mountain for about three miles, streaming quietly among the stalactites and stalagmites. It is directly connected to the sea, so it’s not only important because of its unique rock formation, but also as a biodiversity hotspot – you’ll see crab-eating monkeys and lizards at the entrance of the cave and bats in the cave. The pride of the Ifugao tribe, whose ancestors hand-carved the many step-like terraces in the mountains, creating a wondrous view that is often referred to as the “Eighth Wonder of the World.” These historic terraces are one of the rare sites on the Philippines that weren’t influenced by colonial cultures, thanks to the difficult terrain – allowing the local tribes to preserve their customs and culture. There is so much beauty to be found in The Philippines 🌋🌅🇵🇭 (📸: @danandmoore 📍: Mayon Volcano) Be sure to use the Hashtag #itsphilippines ⬅️ to be featured! We are always looking for new pictures and creators! Mayon volcano is one of the most popular active volcanos in the Philippines. It is perfectly cone-shaped and is rising to a staggering 2.462 m on Luzon Island. Climbing the volcano is possible, but is advisable only for the more experienced hikers because of its steep slopes and dangerous fumes that are emitted by the volcano. For those to which this seems a bit too extreme – enjoying the view from a safe place, such as Ligñon Hill, is also highly rewarding. This attraction wasn’t widely known to up about recently when its photograph became viral after a photo contest. It was hidden in a dense forest for a long time, which was destroyed due to a series of floods and forest fires. After it became popular, the roads around the waterfalls were fixed, making it easier to come and marvel at them. Thankfully, the lush vegetation surrounding the waterfalls is intact, still hiding where the water is actually coming from, making the experience all the more mysterious. If you’re wishing to enjoy a bit of traditional Philippine cuisine with a twist, you must try the Waterfalls Restaurant. Located in the Villa Escudero resort plantation, take off your shoes, sit at a bamboo table and enjoy your refreshing meal. Once you’re done, you can lean under a waterfall to freshen up for the rest of your trip. If you’re into diving and exploring the amazing life within the coral reefs, Tubbataha Reef is a must. It is one of the best places to scuba dive in the world. 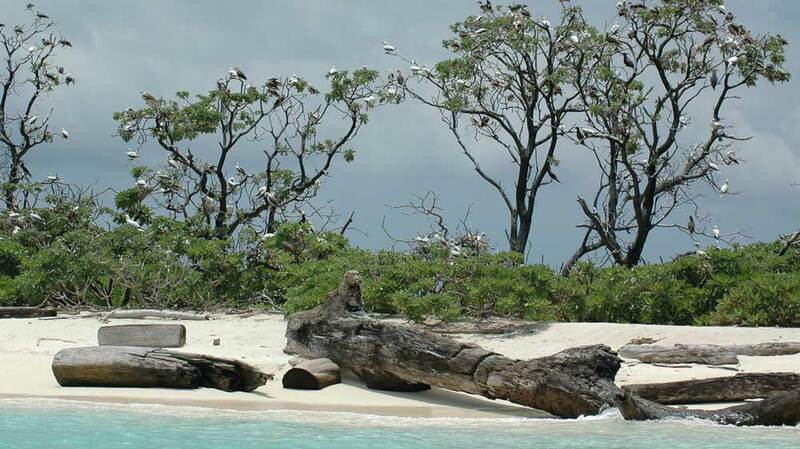 It has more than 360 coral species, more than 600 fish species, 11 shark species and so much more. You should definitely check the Amos Rock diving spot, which is one of the most popular spots because of its diverse sea wildlife. 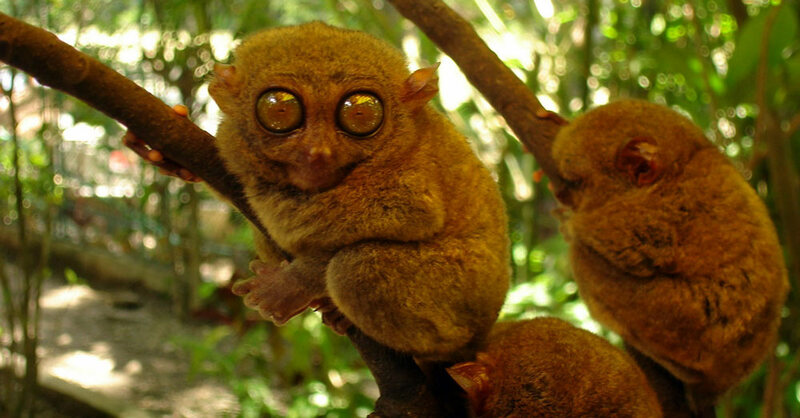 Tarsiers are googly-eyed, small primates that are endangered due to intensive deforestation happening in their natural habitats. You won’t be allowed to pet them, as they are easily stressed, but even observing them jumping around is worthwhile. Also, buying something from the gift store will help their conservation, and you’ll have a cute googly-eyes keychain to show back home. The people of Sagada have a different idea about the afterlife than most of us. Instead of burying coffins into the ground, they hang the coffins in the cave, believing that the higher they are, there is a higher chance of their spirit reaching a higher nature in the afterlife. It’s eerie, but an astonishing view. Another UNESCO World Heritage Site in the Philippines, established in the 16thcentury, Vigan is one of the best-preserved Spanish colonial cities in Asia. Visiting Vigan will make you feel as you have been teleported to Spain, with all the perfectly preserved buildings and cobblestone streets. The city is full of museums and small workshops, allowing you to truly experience the antiquated ambience of the city. 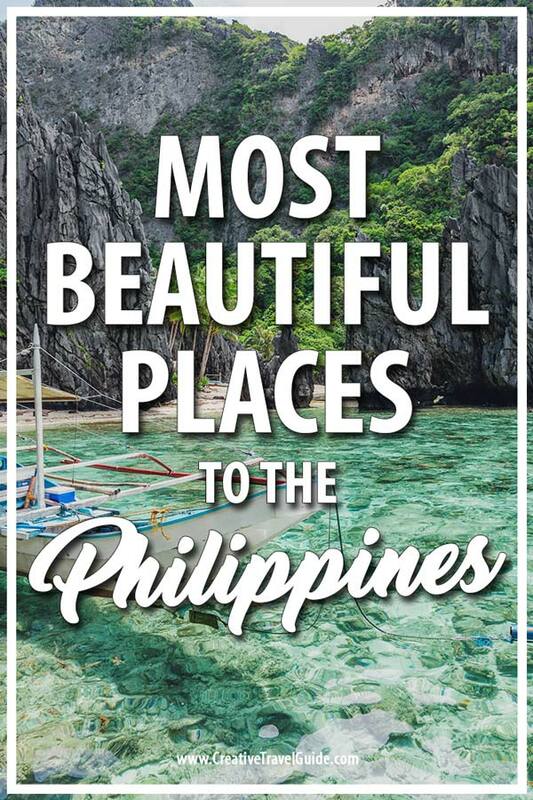 With more than 7000 islands, numerous beautiful sandy beaches, waterfalls, mountains, and booming cities – the Philippines is surely becoming the next “it” destination. If you wish to lay around on the beach, sipping cocktails or go climb a volcano – you can do both. If you’re still not convinced, consider the fact that the Philippines have the longest Christmas celebration in the world, lasting from the 1stof September to the 6thof January! So, if you want to feel the Christmas spirit in September, just hop on the plane and come to the Philippines! We were just talking to a couple yesterday that went here last year. They were telling us how amazing it was. Definitely need to add ot to my list!